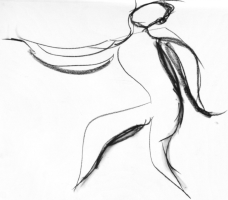 Drawing dancing. 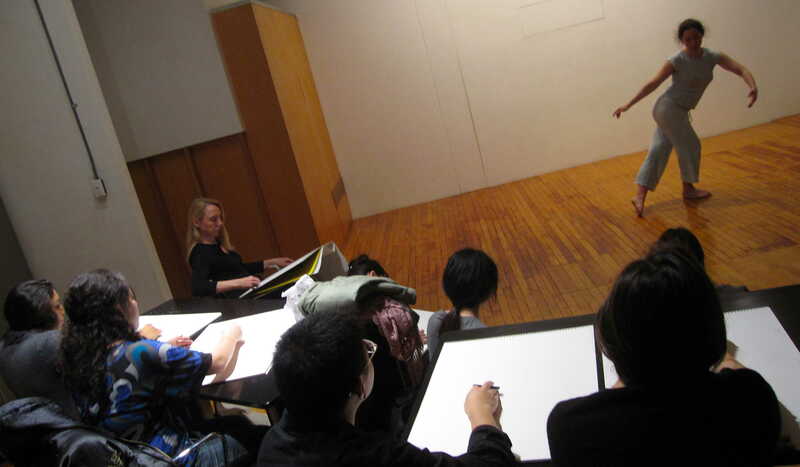 On Wednesday, December 9, 2009, I took the 19 students of my “Experiments in beauty” class to Terry Rosenberg’s painting studio in SoHo to sketch Jody Sperling dancing. Most of the semester was devoted to learning what science is by doing it. This session was devoted to learning what art is by doing it. We present photos, a sketch, and a video of the event, and nearly 125 charcoal sketches, by the students, of the dancing.